Fashionista is the last Durango daughter born in the US before her papa left the country. She is a wonderful little foundation female and we are thrilled to have her on the ranch. 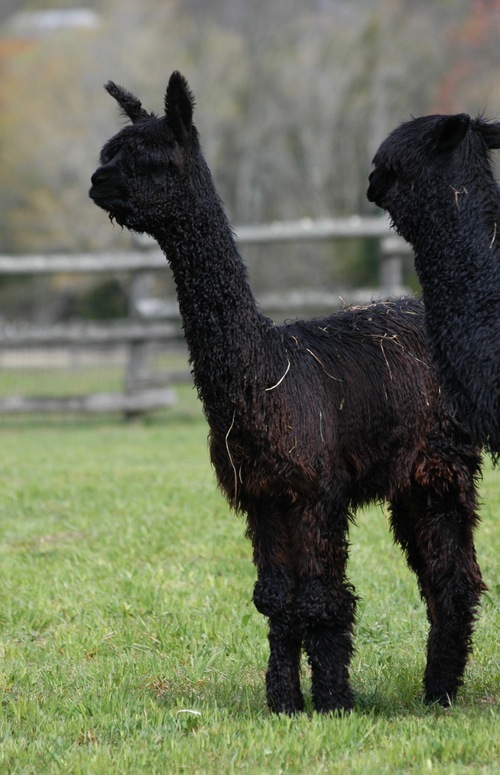 Her first cria was GLR Francista, a beautiful black female sired by GLR Bacchus, who sold in the winter of 2013. 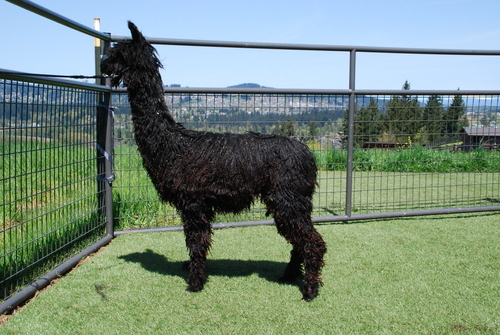 Fashionista's 2013 cria was yet another true black beautiful cria, this time a son, and sired by GLR Rastamon, GLR Falcon. 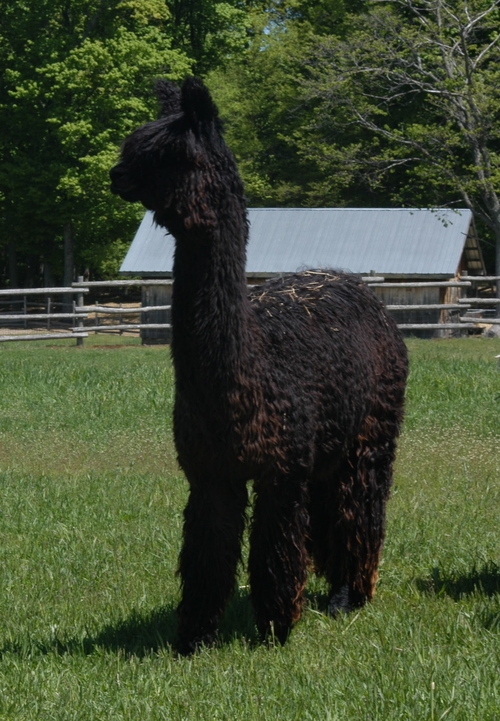 Fashionista's 2014 cria is a true black little girl, GLR Fransisca,who even at a very young age looked promising enough for us to be thinking she is going to be another girl we take on the road with us in 2016. Also on the road with us in 2016 is Fashionista's 2015 true black female cria GLR Faberge who looks pretty promising and will be very competitive as a yearling in the show ring.. Fashionista's 2017, Rastamon Cria, Foxtrot, a true black female. So far she has been three for three in producing black cria.